We’re LA ALLSTARS – professional live event entertainment for corporate events. We consistently deliver high-energy, music for all types of events. From a single musician up to 10 plus piece band, we’ve performed for major corporations in North America and abroad. We’ve also performed for some of Hollywood’s most notable VIPs. Our dynamic show covers multiple styles including, current hits, Classic Rock, R&B, Motown, Disco, Standard Jazz to Swing. In other words, we have the capability to cater to any audience’s needs. It’s a fresh, hip style and funky approach to the music that brings our talented group into today’s contemporary realm and what sets us apart from the rest. We’re Los Angeles’ premiere live music event entertainers. Allow us to make your next event memorable for everyone in attendance. 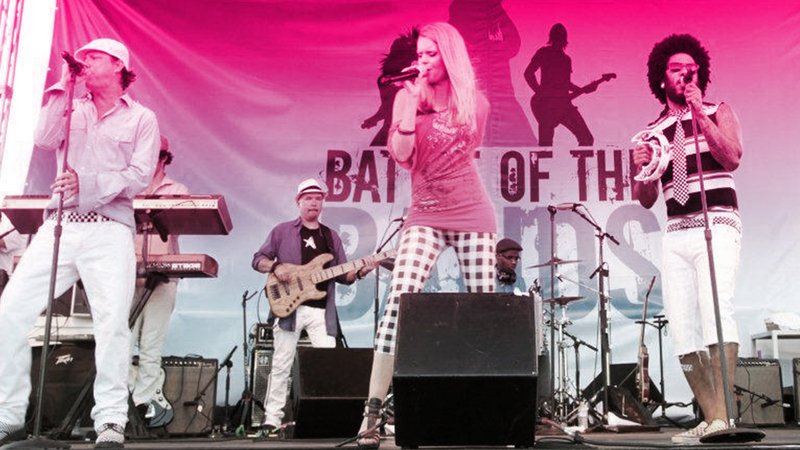 We’re a professional corporate events band who prides ourselves on delivering high-energy, original performances of your favorite hits in all genres, with flexible pricing options. We’ve performed for major corporations such as Sundance Film Festival, Warner Bros. Studios, “The Bachelor” on ABC, numerous celebrities, and high-profile charities such as The Cystic Fibrosis Annual Wine Masters Event. We’re available in any configuration, from duos to trio’s, 4 piece, 5 piece, 6 piece, 7 piece all the way up to a 15+ piece band. We cover a multitude of styles, and our vast song list will have you on your feet, singing along to your favorite tunes no matter the genre. We pride ourselves on being extremely flexible and organized with a dedicated attention to detail– the ultimate professionals both on and off stage.